Jill Sjolin is truly dedicated to providing exceptional, professional and comprehensive real estate services to her valued clients. Through her insightful council and extensive knowledge in the Acquisition and Marketing of Residential, Luxury, Equestrian, Land and Commercial Properties, you may trust in Jill’s expertise and accurate assessment. Specializing in the Greater Eastside and Seattle real estate market; she enjoys sharing her perspective into each community’s exceptional features. Known for her extra effort and personal touches that produce outstanding results, Jill is committed to providing her clients with an unprecedented depth of real estate expertise and outstanding representation in her efforts to accomplish and make their real estate dreams come true! Distinguished as a top producer within her office, Jill ultimately ensures that each client receives outstanding representation, crucial in-depth local market knowledge and a truly impressive real estate experience. She excels at providing knowledgeable guidance and effective and targeted marketing strategies that produce results. Sellers receive creative and well-organized marketing applications that clearly accentuate each property’s specific features and position their home to stand out in the marketplace. Skillfully leveraging their property's visibility, Jill utilizes professionally produced photography together with refined staging services and a presentation in print and on multiple internet sites and social media platforms. When working with buyers, she carefully listens and takes the time and attention to evaluate and prioritize her clients’ goals so that they may skillfully find a home that meets their lifestyle requirements. She exhibits a relentless commitment to securing just the right property for each buyer. 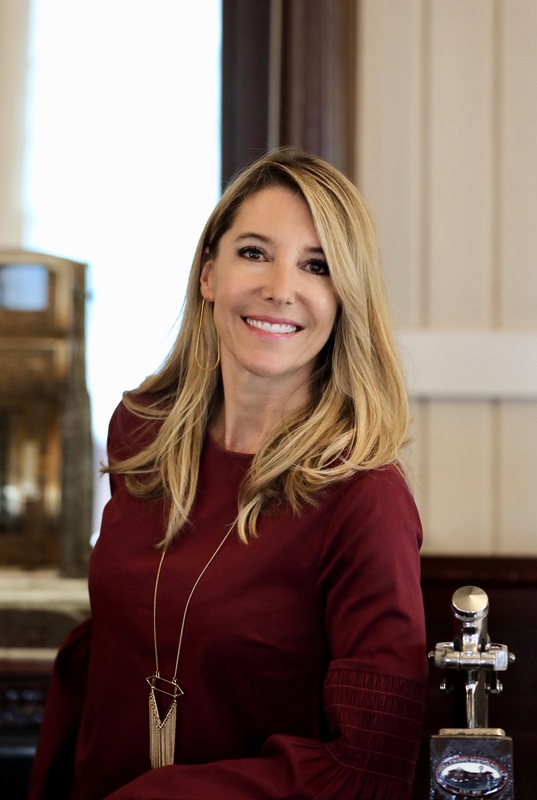 In applying her extensive experience in renovating properties; Jill is uniquely qualified to advise her clients on the important issues involving their potential real estate investments. Through her advice and insightful vision on modifying the floor plan and/or adding additional key design elements; she is able create additional value through presenting cost effective modifications or specific upgrades to the property. Jill’s clients trust in her integrity and insight, and value her timely guidance and expertise in addressing all aspects of the transaction with professional competence. She is masterful at finding creative and equitable solutions to make each transaction come together with a positive result. In indulging her clients with first class service; her warm and friendly personality is very present in everything she does on their behalf and it is truly her joy to ultimately fulfill their request. Her immediate accessibility, answers to timely questions and trusted council makes her invaluable to her clients. Jill readily delivers results that are beyond their expectations and is truly committed to providing the highest level of expertise and outstanding personal service. Contact Jill to serve you and your personal real estate interests. Born and raised in Seattle gives me first hand knowledge on the different communities that our area has to offer. I have lived in Seattle, Maple Valley, Bothell, Woodinville, Edmonds, Whidbey Island and I have owned/own properties in Plain, Lake Chelan, Leavenworth and Arizona. I am very involved with our community in many ways, I am a part of the "Adopt a Road" program and The Windermere Foundation. Please feel free to call for any reason, I am here for all your real estate needs. I am out with home buyers regularly & I see the newest listings in our marketplace. I meet with sellers each week and I may know of a property to come on the market in your area soon. What are you looking for? We can meet in my office, I text, email, facebook and twitter for your convenience. I have a team of five professionals that assist me & help me facilitate your transaction with ease. You & I work together throughout the process whether buying or selling and each team member joins us as needed. I have a photographer, stager, assistant, office liaison and contractor. Let's meet for coffee so I can show you the plan. Windermere, Google & Microsoft have collaborated to dramatically increase our exposure (listings) by making them accessible through a Google search. Windermere, leading the industry with technology & customer service to exceed your expectations!